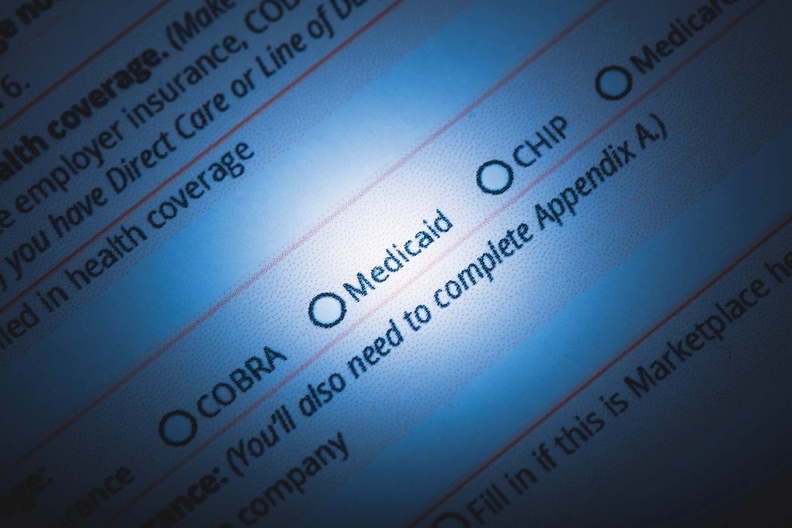 North Carolina on Thursday began the process of raking in proposals for organizations hoping to participate in the state's new Medicaid managed-care program starting in 2019. The state has asked the federal government for permission to transition its $14 billion Medicaid program from fee-for-service to a managed-care model where it will pay organizations a per-member per-month amount to provide services to more than 2 million beneficiaries. The CMS has not yet approved the state's waiver application, but state officials expect to receive approval soon. The North Carolina Department of Health and Human Services will award four statewide contracts and up to 12 provider-led regional contracts worth a total $6 billion per year. The contracts last an initial three years, with the option to renew for an additional two years. The request for proposals is for standard plans providing integrated physical health, behavioral health and pharmacy services; the state will later procure tailored plans for beneficiaries with serious behavioral health and other needs. Bids from managed-care organizations and regional hospital and doctor networks are due on Oct. 12 and the winners are expected to be announced on Feb. 4, 2019. "DHHS is committed to improving the health and well-being of all North Carolinians through an innovative, whole-person centered and well-coordinated system of care that addresses both medical and non-medical drivers of health," the department's Secretary Dr. Mandy Cohen said in a statement. "This request for proposal seeks prepaid health plans that share this commitment as we work to implement North Carolina's new Medicaid managed-care program." North Carolina is seen as a goldmine for managed-care companies hoping to nab a piece of the Medicaid population. With 2.1 million Medicaid beneficiaries, North Carolina, which has not expanded Medicaid, has the ninth-largest Medicaid program in the nation and the largest that has not outsourced the program to managed-care companies. During a press conference on Thursday, Cohen said she expects 1.6 million beneficiaries to move into the standard managed-care plans when the state begins to phase in the new model between July and September 2019. Some insurers and provider organizations have already announced plans to compete for a contract. Blue Cross and Blue Shield of North Carolina last year said it would partner with Anthem-owned Amerigroup Partnership Plan to form a Medicaid plan called Healthy Blue to serve Medicaid managed-care beneficiaries. National insurer Centene Corp. said it agreed to partner with the North Carolina Medical Society and North Carolina Community Health Center Association to create a Carolina Health Complete, a joint venture to operate a physician-led health plan to provide Medicaid managed-care services. More than 50 million Medicaid beneficiaries in 39 states receive healthcare services through managed-care programs. Advocates say the model allows for better care coordination and budget predictability in a time when Medicaid is becoming a more expensive line item. But there's no conclusive evidence that outsourced Medicaid programs immediately save costs or improve healthcare quality for members. North Carolina expects its Medicaid overhaul to save costs in the long-term, though Cohen didn't provide a projection on Thursday. According to the request for proposals, the state will implement an advanced medical home program to strengthen the role of primary care in local care management and care coordination. That program includes performance incentives for medical practices to improve cost and quality outcomes. North Carolina will also encourage the managed-care organizations to pay attention to social and environmental factors that impact health by requiring contracted plans to screen for unmet non-medical needs that affect health outcomes—including food, housing, transportation, employment and interpersonal violence—and navigate patients to community resources to address those needs. The plans will be required to maintain adequate provider networks and meet standards related to distance to and wait times for appointments. They will also have to cover non-emergency medical transportation. Plans will be held accountable for meeting targets and benchmarks to improve care delivery, support healthy people and communities, and pay for value. They will be subject to financial penalties if certain quality metrics are not met 18 months after the state transitions to managed-care. Cohen also said North Carolina is shooting for the plans to have at least 50% of their medical expenditures in alternative payment models by the end of the second year after transitioning.